I fitted mine at the weekend. Reservoir fitted under seat. 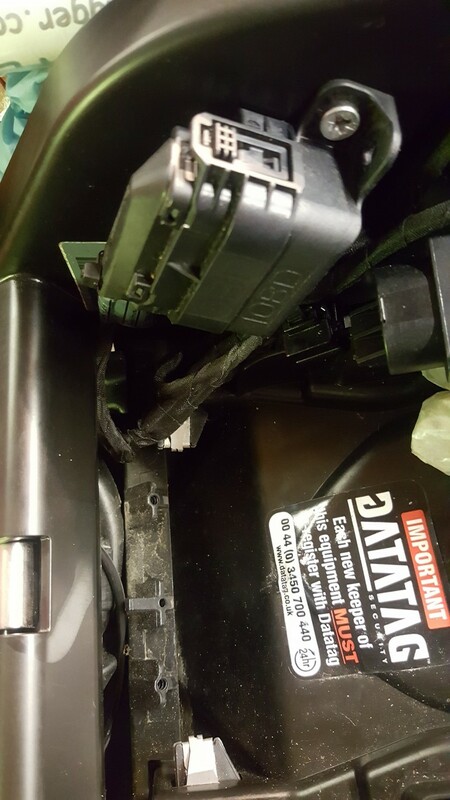 My 2018 bike has the rectangular OBD plug. (I think some earlier ones have the round?) 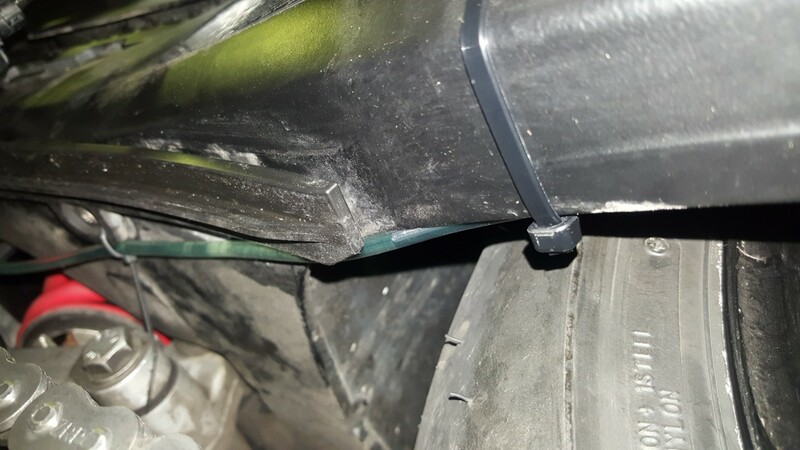 I repositioned the plug and holder to the side, and using a bracket I happen to have made many years ago for a project and had a spare, I mounted the reservoir to the old OBD mounting threads. 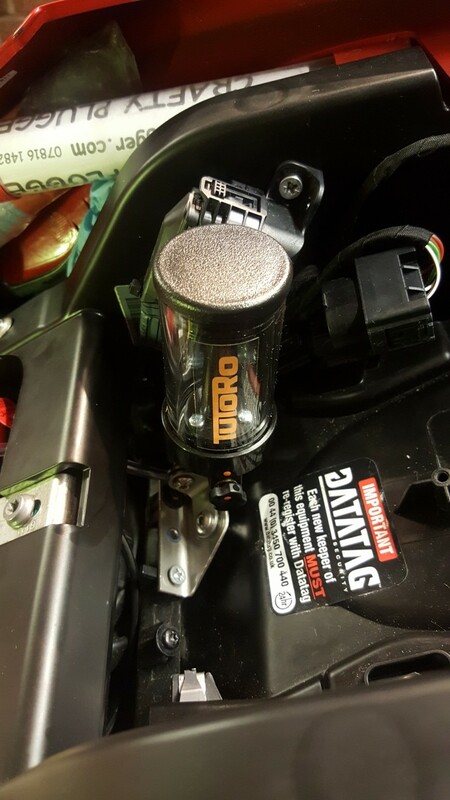 Fed the tube past battery, past and under back of tank and round the back of the swing arm. 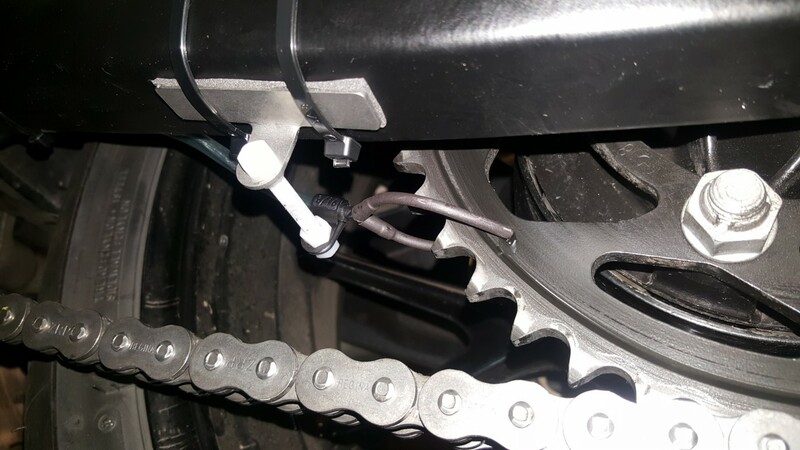 Then along swingarm, using a small zip tie to attatch it to the side of the chain slider, and some more to locate the twin dispenser nip. However, first run out and I had an oil covered rear wheel. Combination of too high dispense rate and the twin nozzle had moved so it was falling into the sprocket gap. I may have to rethink this bit. I suspect the chain might be slapping the bracket and dispenser nip. I'll check again on next ride but I've ordered some Scotoiler nib parts snd may revert to single nozzle. 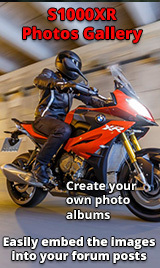 That worked for 95,000 miles on a VFR I had once. Nice neat fitting, I changed my dispenser to a single feed. Works absolutely fine. Started my adjustment at only 1/4 turn open, then just very small increments its now open about 1/2 turn from closed. Works great. Very little throw off..
Looks neat but use a single nozzle that touches the sprocket around 6-7 o'clock. 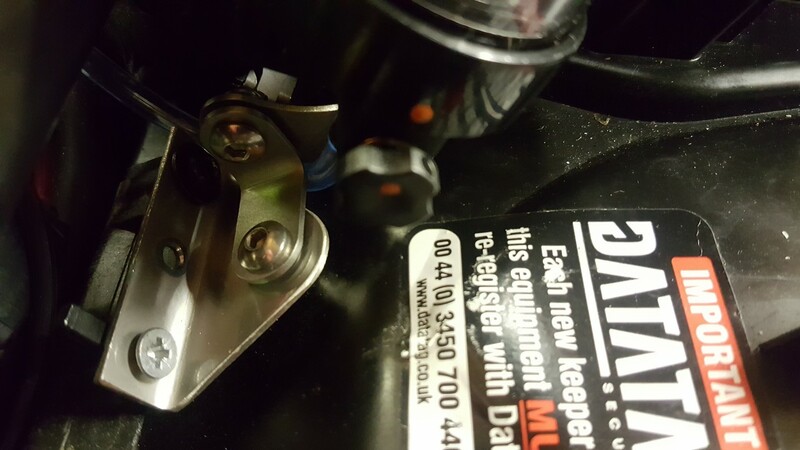 I ran mine along the outside of the swinging arm, doesnt look as neat, but you can check for air-locks easier. I have some Scotoiler tips coming and a short bracket. 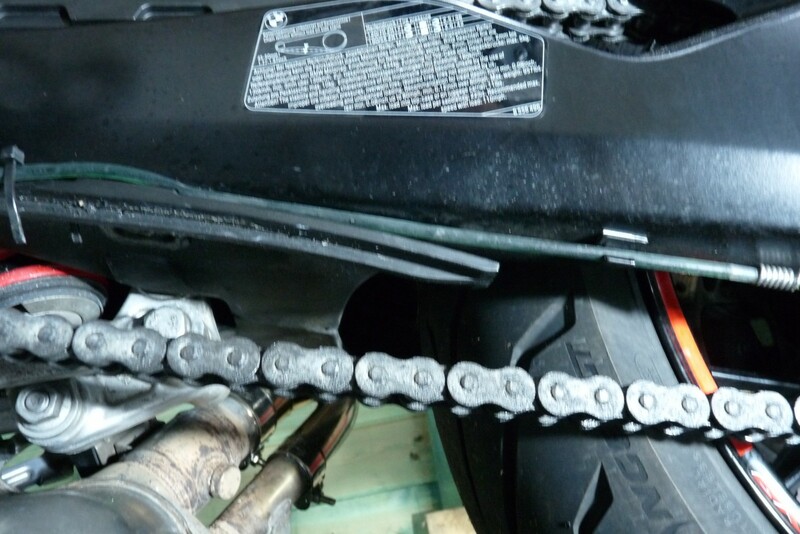 Will most likely go single for now, aiming to 3d print sime hose clips and maybe run the hose behind the chain guard. I'll 3d print a "curved end" for the rear end of the chain gaurd possibly, and come down to the 7 or 6 position. Might even have it on the inside maybe. Scottoiler have just told me they should have a new twin outlet that will fit the XR coming out in a few months. I might beat them to it though once I get my design head on and the 3d printers warmed up. I really dont think the oilers require a twin outlet - certainly based upon my chain condition with just a single nozzle. The twin may end up as a single anyway - as the oil will take the path of least resistance, so a slight difference in nozzles over time may default to a single. I did 95,000 miles with a single oulet Scottoiler. I do recall the inner chain link was wet on the 'O' rings both sides but the outside of the inner link was a bit on thr dry side. However, that's just cosmetic really. I think I'll be running the single and if it looks wet on both rings, then keeping it simpler is better. Oh, don't need the chain lube in a can junkies chiming in. I ran dry lube on my S1000r but that was a dry day toy, My XR is an all year runner and trying to clean and spray lube a chain in the dark and cold of a winter evening is not what I'm interested in. Thanks for the pics and suggestions. So your chain doesn't touch the feed pipe then? 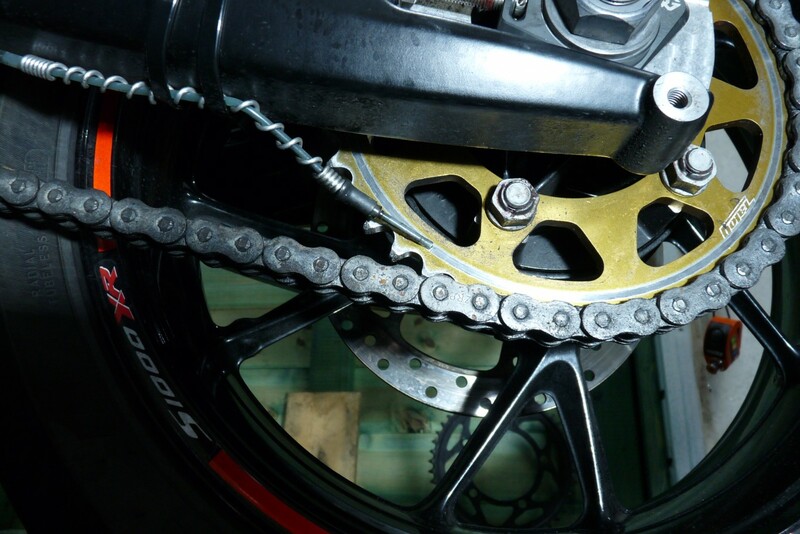 I ask because while I was fitting mine I noticed a little paint missing on the underside of the swingarm where I suspect the chain had slapped is. It's tiny so maybe just the once. Bike had done 4000 miles before I got it. Mind you, the lube was so thick and paste like on the chain and around the front sprocket area I had to dig/scrape it off before I could clean it properly. 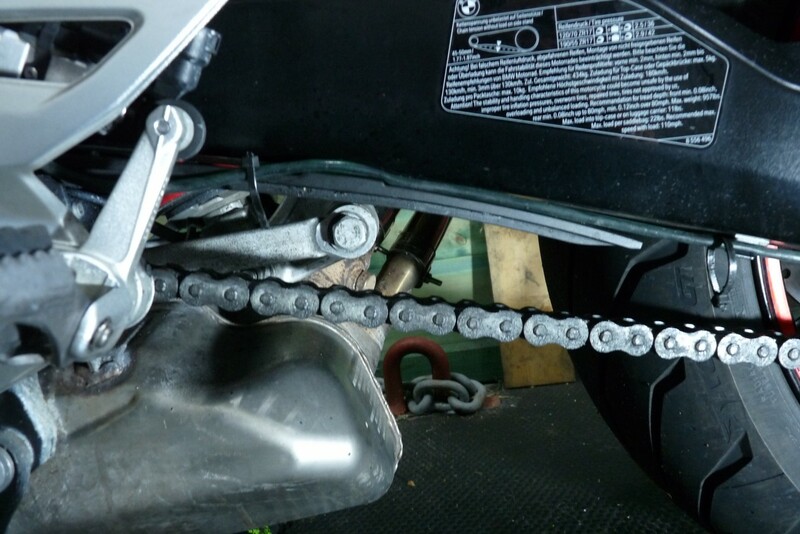 All that gunk built up made the chain heavy and hard to flex the links. Once cleaned and lightly lubed with Tutoro oil, things were far more efficient. I have some more tubing and single nozzles arriving soon hopefully.